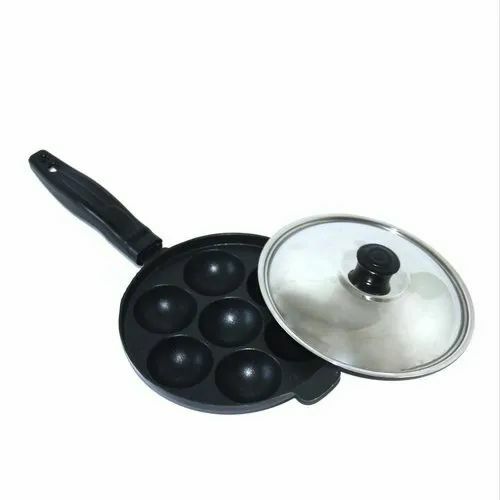 Matching up with the ever increasing requirements of the customers, our company is engaged in providing Evershine Non Stick Appam Pan. Our Products are 100% PFOA free made from PTEC based green Technology. The products are scratch and abrasion resistant. The product has 7 cavity and is designed that all the cavity gets uniform heat distribution. The Product is manufactured heavy guage material. The Lid helps in retaining the heat during cooking. Cooking food using offered product provides good health and clean consumption. The Handle provides a sterdy Grip while cooking.